Posted on Sun 2 Oct 2011 at 3:06 PM PST. Filed under Entertainment. 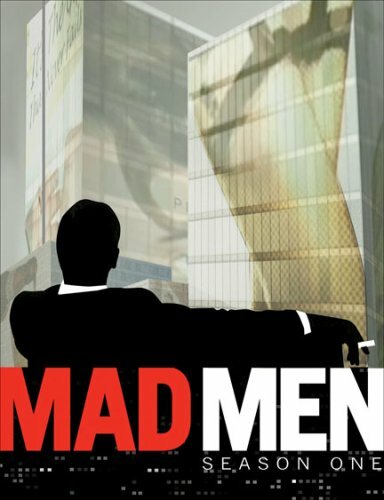 Am I the only one who doesn’t find any particular appeal on the successful cable TV series “Mad Men“? The series has won many awards, including multiple Emmy wins for “best TV show”, and it’s regarded as one of the best examples of scripted TV. Well, here’s the thing. I fully recognize the amazing production value that went into the series: it really looks and feels like the ’60s. The acting is very good too. Direction is top notch. Editing could be better, but camera work makes up for that. Script is concise and well-written too, with quite some subtext. Overall, one of the best TV shows right now, and possibly the one with the best artistic/production value. Where I hang up with “Mad Men” is that I’m not interested in its stories. Its premise, that is, cut-throat business, racism & sexism along promiscuous untrustworthy characters, are not my cup of (herbal) tea. I have absolutely nothing in common with these characters or that era in general, or any era before year ~2150. I’m not trying to sound pretentious, but I truly feel that I’m above these kinds of situations. It’s for the same reason I didn’t enjoy “The Wire“, which according to many is the best TV show of all times. I’m above these lowly situations that these shows portray, no matter how accurate are or were. Instead, I want to look into the future, I want to watch TV series that deal with questions that have no easy answer. I learn absolutely nothing by watching about problems arising from socially retarded egomaniacs (as in Mad Men) or corrupted current socio-political systems (as in The Wire). Between the two, “The Wire” is obviously better than “Mad Men”, but I still can’t say that it thrills me, because I feel that it portrays a world that’s old by my standards (even if it’s 100% current). At least on “The Wire” I learned that “when it comes to crime, nothing is as it seems”. There was definitely some value in it by showing everyone things that they might not know about our current society’s organization and machinations. On “Mad Men” instead, the only thing I learned was “don’t work on an office in the ’60s, or you will get f*cked. Oh, and don’t marry anyone from the ’60s either”. So I ask you, how does “Mad Men” make me a better person? Easy, it doesn’t. And that’s the crux of my problem with it. I already know everything that I need to know about the situations “Mad Men” deals with, so it’s of no use to me. Maybe it’s still a good learning tool for some people, who aren’t sure if cheating or cruelty is good or bad, but I definitely already know the answer to these questions. “Mad Men” is too simplistic for me. Therefore, I still seek TV series or movies that engage me in an intellectually-advanced way, to make me cogitate even further than I thought possible, to teach me about new things that I didn’t know or I well-understood before. And that’s why I still consider “Star Trek: The Next Generation” the best TV show of all times. Because it was my mother & father in a way that my real parents could never be. I am the person that I am today, because of TNG. I find “Mad Men” to be the “Dynasty” of today’s television. Well done and impressive to look at, but intellectually shallow. And yes, “Mad Men” is on my top-5 TV series right now. Which says a lot about the sad state of television. These days, the only show that I truly enjoy watching is “Breaking Bad“. The lead anti-heroes of both shows might feel similar, but Breaking Bad’s Walter White slips towards evil one step at a time because of situations that are out out of his control, while Don Draper is already well-situated in hell for years, and he’s more often than not the original cause of any situation depicted. No matter how complex the script would like Draper to feel like, he’s not as engaging to me. Most people are more likely to be like White than Draper: reactionary, rather than natural wrongdoers. Finally, “Breaking Bad” is a show that it’s asking complex ethical questions at a constant pace, it describes the ways we could all fall of our wagon without even realizing it, and it’s damn funny while it’s doing so. Heck, I even learned some chemistry by watching it!